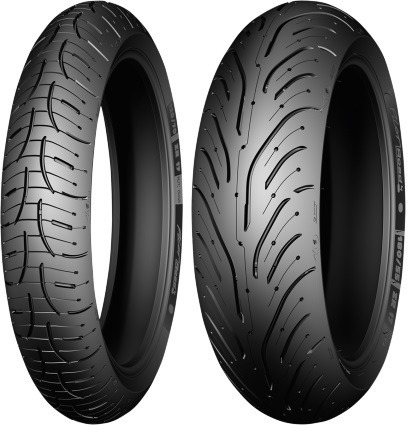 Rim Diameter: 18" & 17"
Design features a stiffer casing with a patented new technology for motorcycle tires that delivers the stability you need for heavier GT-class bikes while riding solo, two-up or with luggage, and the comfort you desire. Stop shorter in the wet vs. the leading competitive sport touring tires and the Pilot Road 3. Up to 20% longer tread life than Pilot Road 3 tires (for a single set). 2 Compound Technology with all-new silica-charged rubber compounds for excellent grip from 23 degree F to 113 degree F. New XST+ siping and enhanced tread patterns for optimum grip at all lean angles. Tubeless. Blackwall. (W)-rated for speeds of 168+ mph.